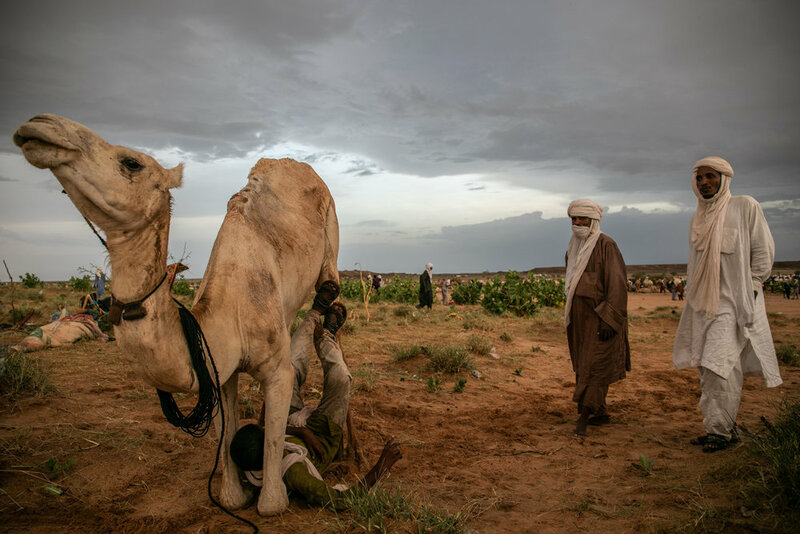 As the last rains of the season pass, thousands of herders flock to the salty land of Ingall, Niger, every year for a unique meeting of rural nomads. 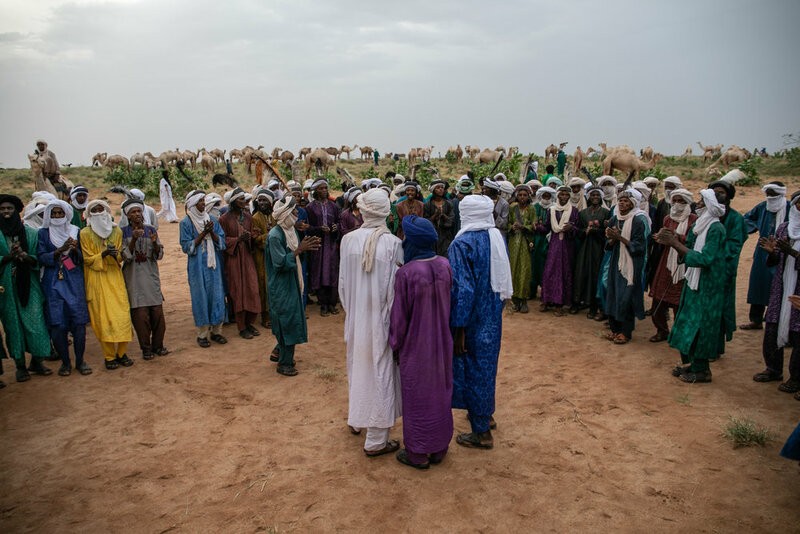 Many come from the Sahel in search of pastures and salt flats to refresh and revitalize their livestock, share travel experiences, trade between clans and ethnic groups, and, in recent years, receive humanitarian aid. 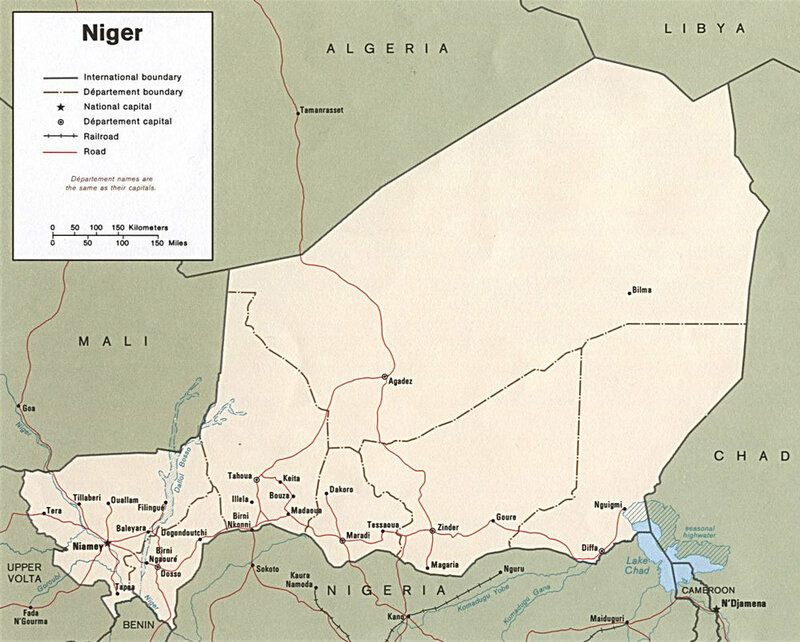 Some 21 million people call this landlocked nation, scratched into the Sahara, home. 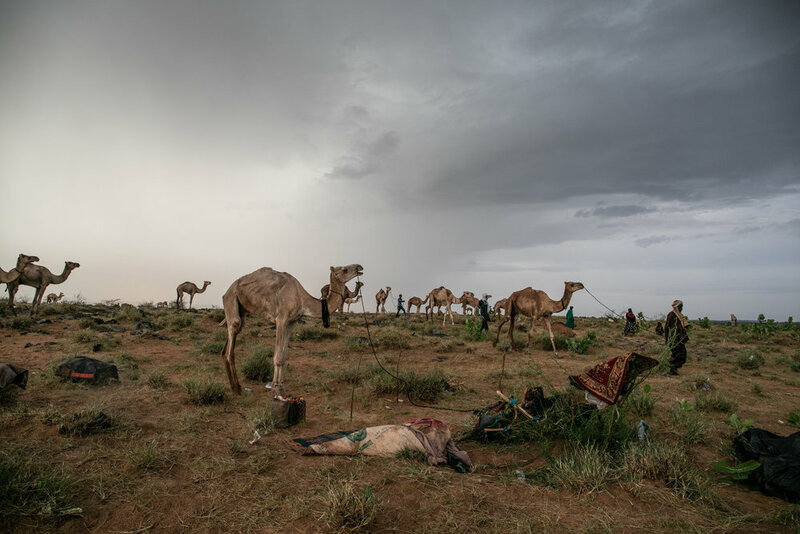 For Niger’s nomadic people, survival depends on livestock. As drought has intensified over the past four years, the future has looked increasingly uncertain. 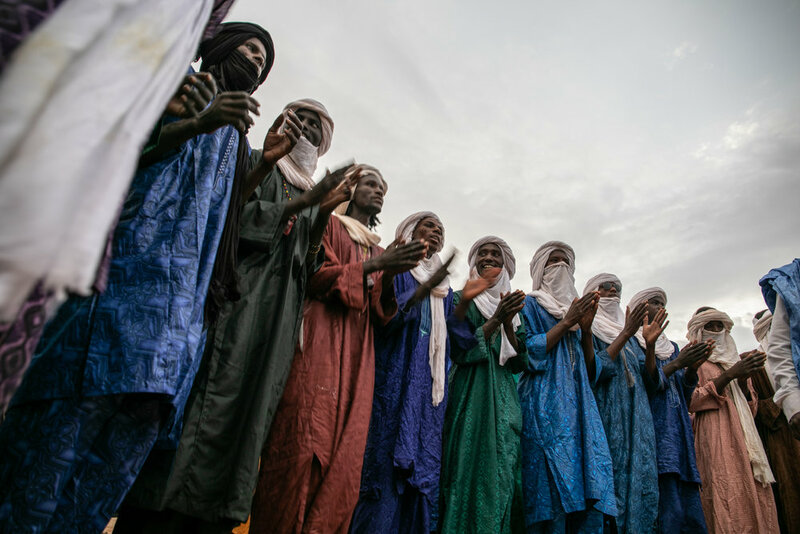 This brief respite in Ingall helps to ready Niger’s nomads for the journey south, where survival in constant movement is somewhat more feasible. The animals are well fed, beneficiaries once again of Ingall’s Cure Salée or Salt Cure festival. 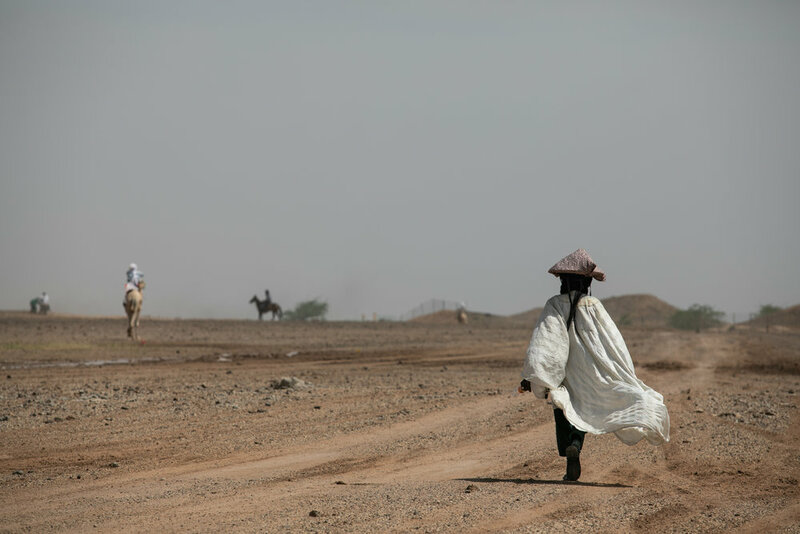 Nomadic herders travel from near and far on their camels to the remote city of In’gall, 160 kilometers from Agadez, in the north of Niger. Ingall’s oasis and saline soils provide food and water for the tired camels and cattle before taking the route to the south. Around 5,000 camels attended this year’s festival. 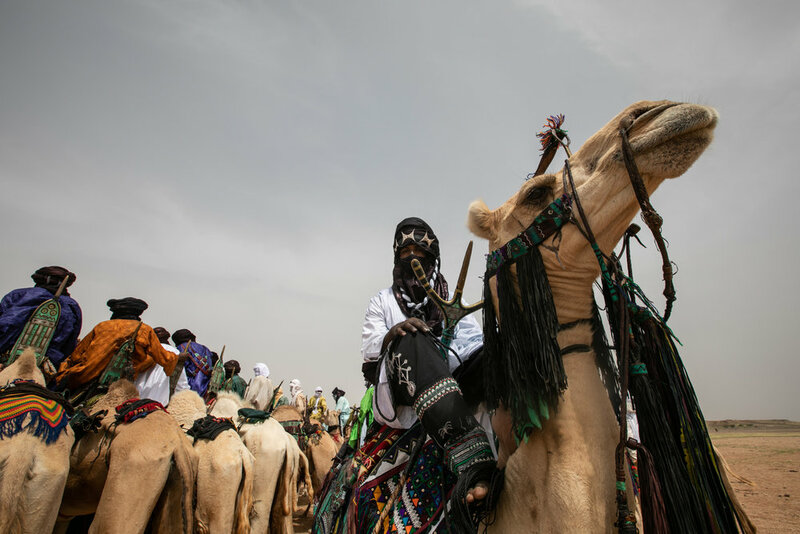 Tuareg people consider camels as a sacred element of their culture. They are fundamental during the travels through the harsh conditions of the desert, they are providers of nutritive milk essential for nomad families, and also inspiration for Tuareg’s songs about revolution and freedom. 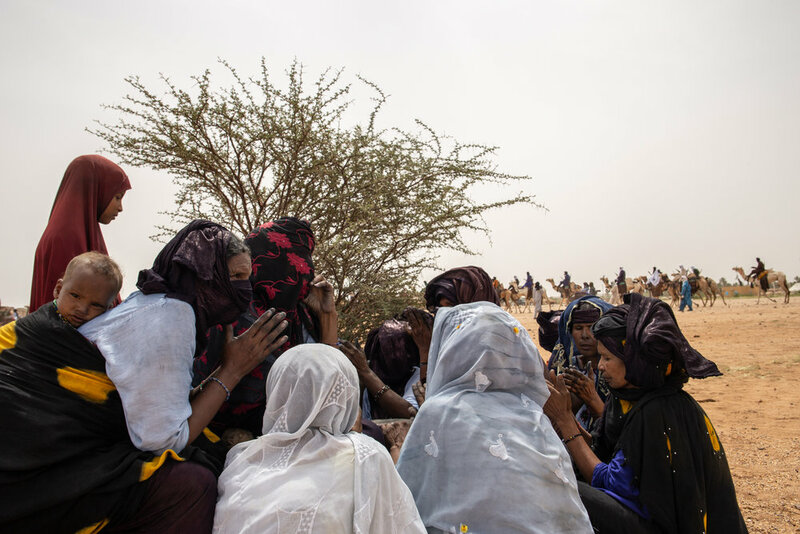 During the festival, day and night, Tuareg women sing in tamashek (Tuareg distinctive language) songs of freedom, love, travel or revolution to the rhythm of 'Tam Tam' (Tuareg drum), while their husbands lead camels in a circle around the music. 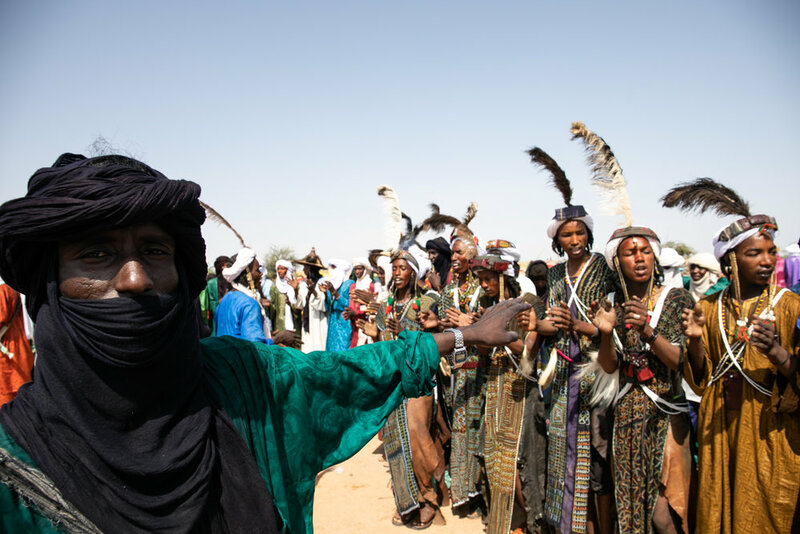 The nomadic Peul Wodaabe tribes, also called Bororo, represent around 8.3% of the population in Niger. 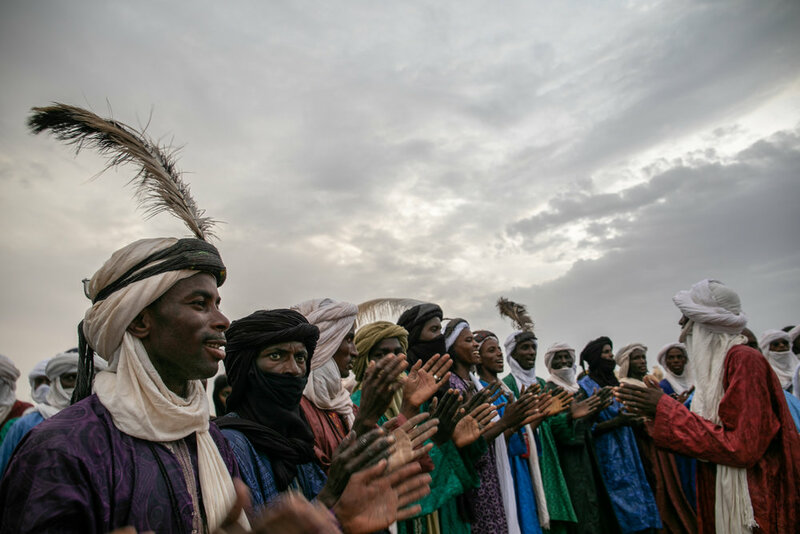 The tribes are composed of migrant herders from southern Niger, northern Nigeria, northeastern Cameroon, south-western Chad and the western region of the Central African Republic. 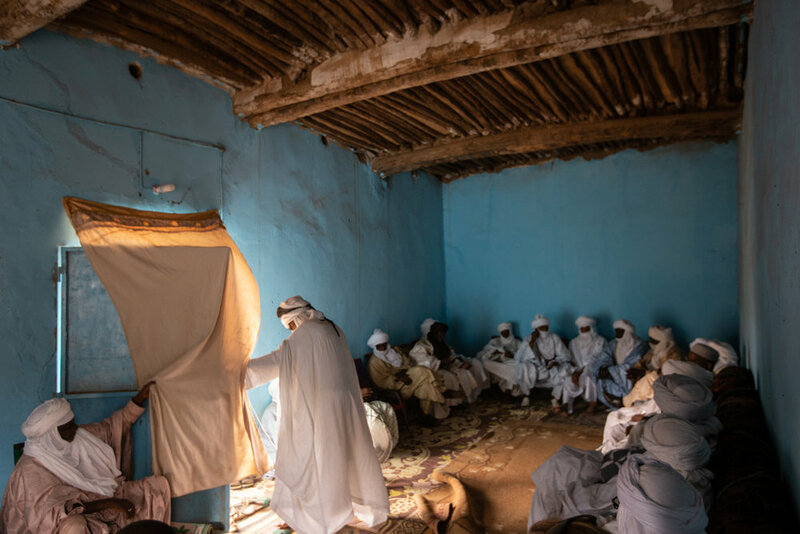 The different Wodaabe clans come in mass from different parts of the Sahel to learn about traditional medicine, heal their beloved cattle, tell stories of the exodus, trade with other ethnic groups, and also, to find love. 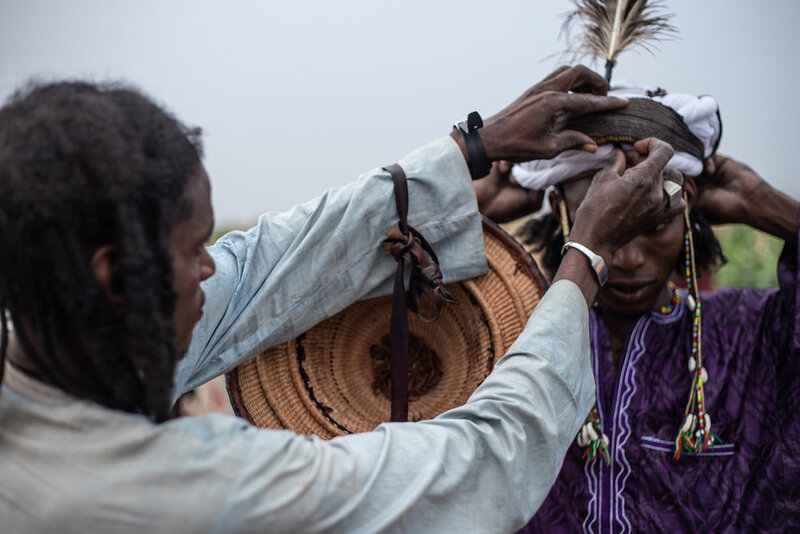 Wodaabe men prepare themselves with meticulous makeup and feathers in hopes of finding female companionship. 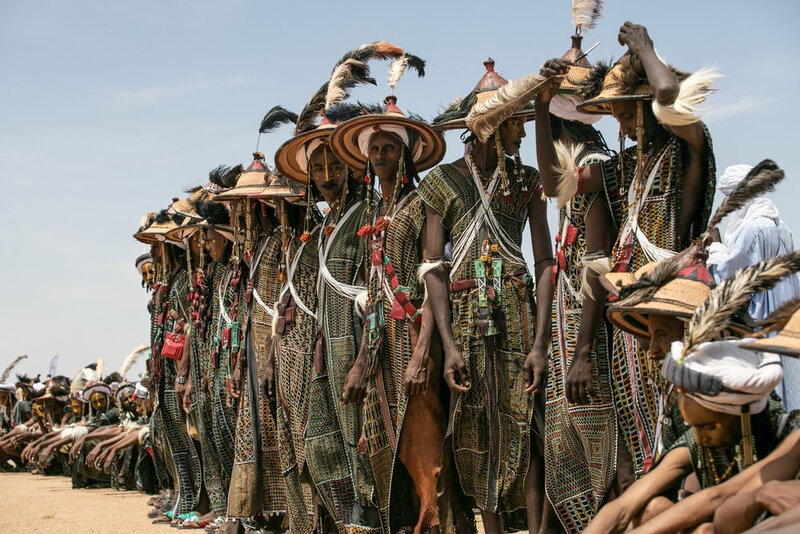 Young Wodaabe men get together to show their skills singing, dancing, and seducing the crowd. Before, during and after the Cure Salé, time stops to give way to the spectacle, color, music, seduction, and art of the Gerewol Wodaabe tribesmen. 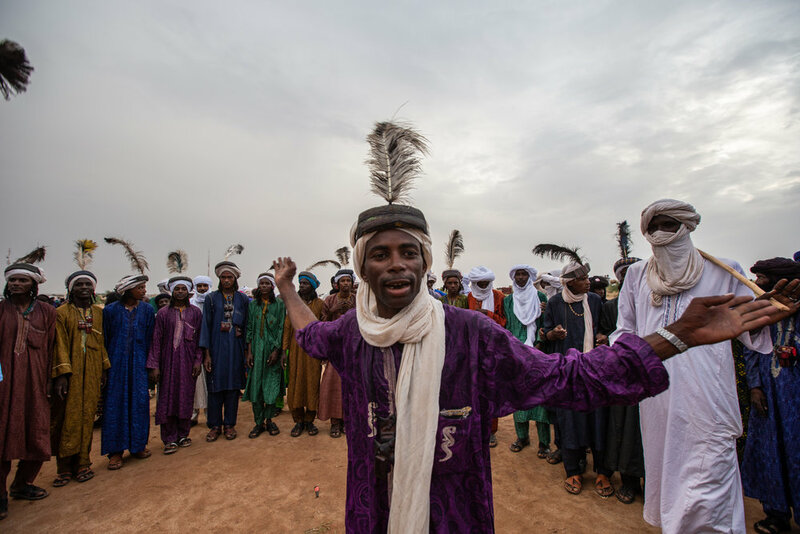 Men adorn themselves with feathers, traditional hand-embroidered clothing, and elaborate makeup while performing hypnotic chants and dances to woo the attention of marriageable women. It is said that the physical attributes of an ideal Wodaabe male are tallness, white eyes and teeth, which is why they roll their eyes and expose their teeth to accentuate these features. 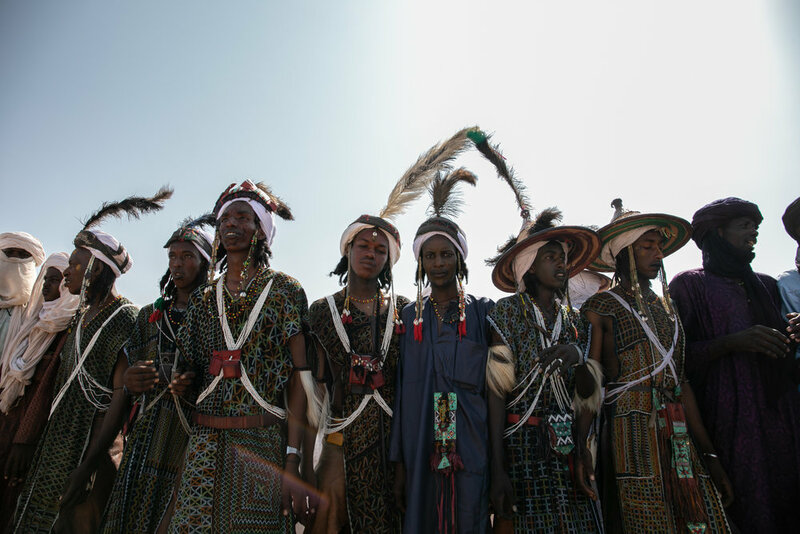 Young Wodaabe prepare themselves with meticulous makeup and feathers in hopes of finding a mate. For the Wodaabe, beauty aesthetic is a distinctive element of the culture that has been handed down through generations. Women steal glimpses of potential mates. The Tuareg of the Sahara are also known as ‘men of blue’ because the indigo-blue dyes used on their clothes to protect them from the desert sun often stain their skin. 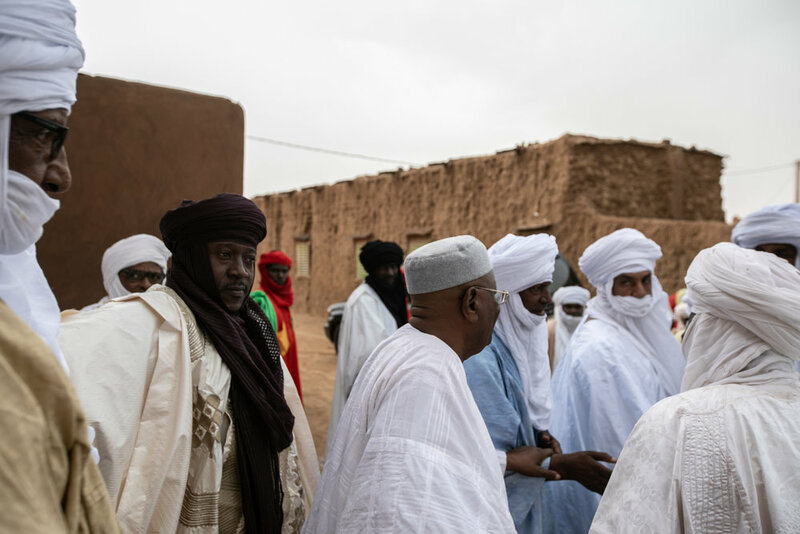 Traditional and religious Tuareg leaders meet to discuss the challenges that affect Niger’s nomads. During the festival, international organizations such as UNICEF, the United Nations agency for children, meet with traditional leaders from all regions of the country to join forces to improve the fundamental rights of nomadic children and families. 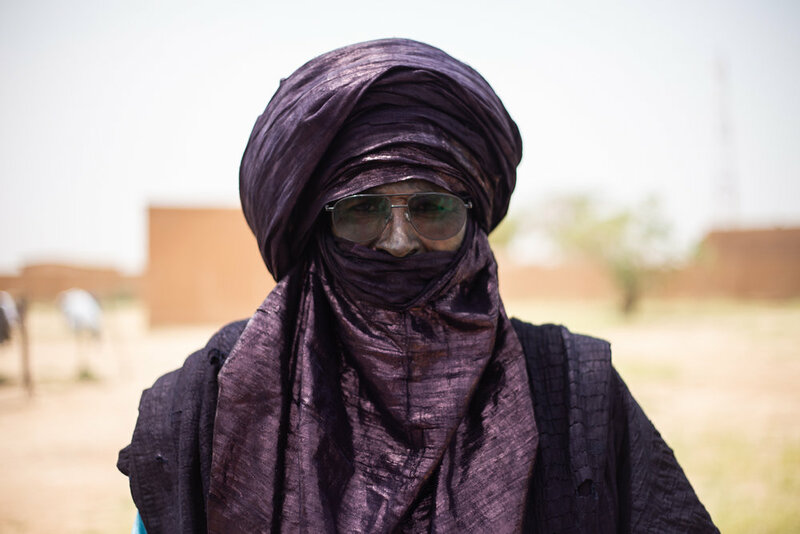 Abbo Ichilane is a respected traditional leader from Iferen village in the Tahoua region. 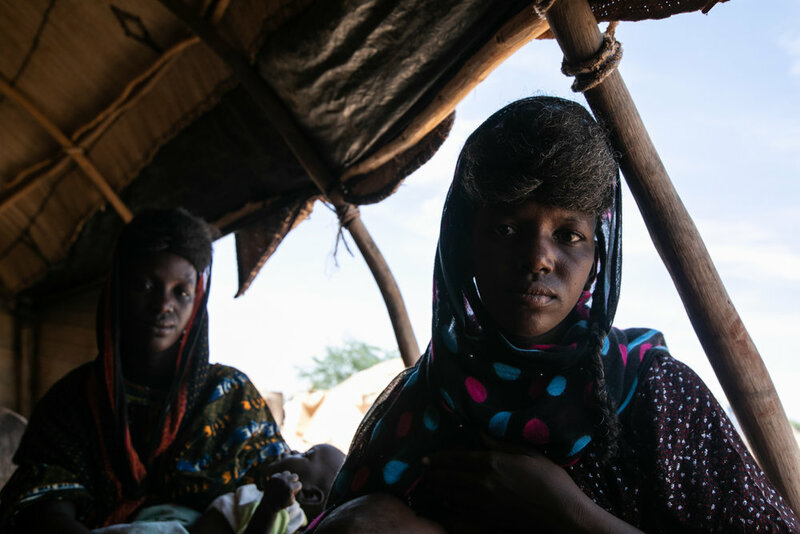 In the last four years, the lack of rain and droughts have intensified throughout the Sahel. 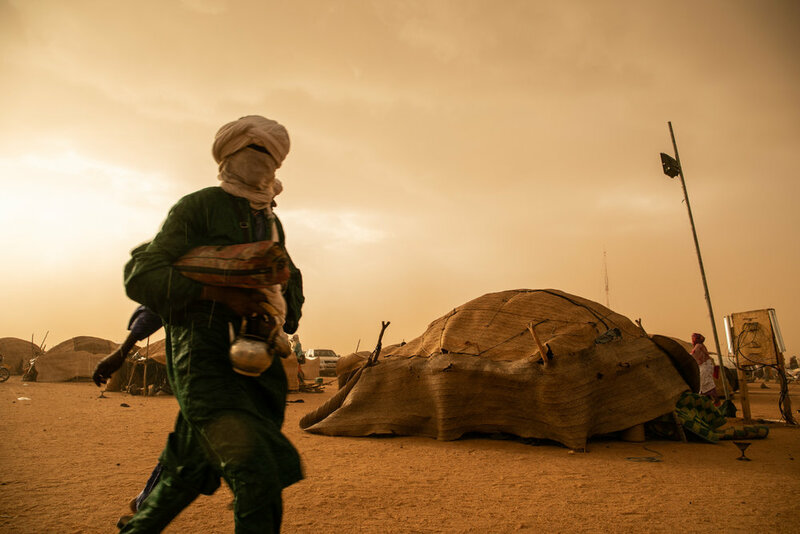 The nomads of Niger, though accustomed to the harsh living conditions in the semi-desert zones that separate the Sahara, are suffering from the effects of climate change. Higher temperatures and the shortage of water and food to the passage of people put at risk the herds of animals. The rains will not return until May or June. In a few months, the nomads will recount again the stories and secrets of the trip, "if the gods permit it, Inshallah."